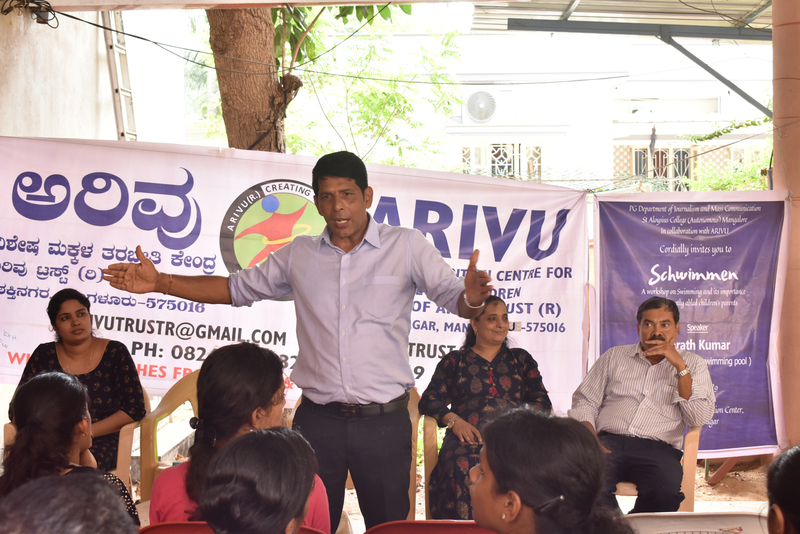 The PG department of Journalism and Mass Communication (MA JMC) of St Aloysius College (SAC) conducted ‘Schwimmen’, a two-hour talk and interactive session on the importance of swimming for the parents of special children on March 29, 2019. The event took place at Arivu intervention centre, Shakthi Nagar. The speaker of the event was Mr Sharath Kumar Shetty, swimming instructor of St Aloysius swimming pool.